By Community Chickens on February 28, 2012 Visit Community's Website. This post is the second in my Incubation Series. In the first post, Incubating Advantages, I discussed some of the advantages and disadvantages of incubating your own hatching eggs. One of the advantages that I’d like to discuss further is that home incubating allows more control over what characteristics a particular chicken’s offspring will have. 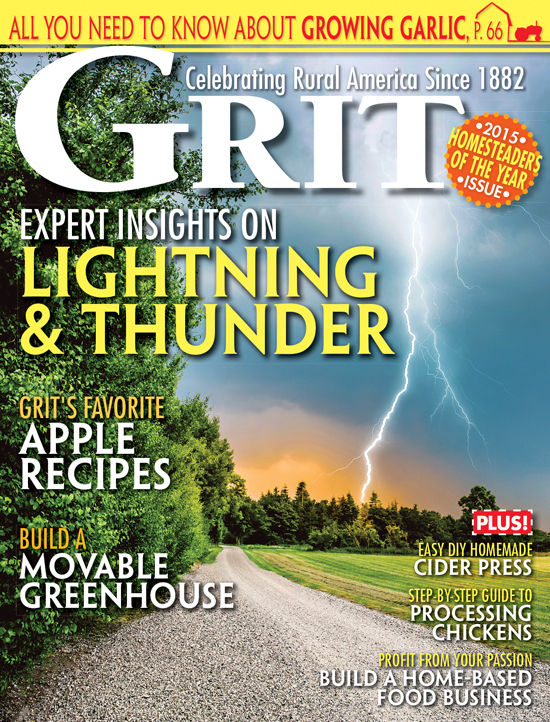 It gives us the opportunity to encourage or discourage those features by selective breeding. 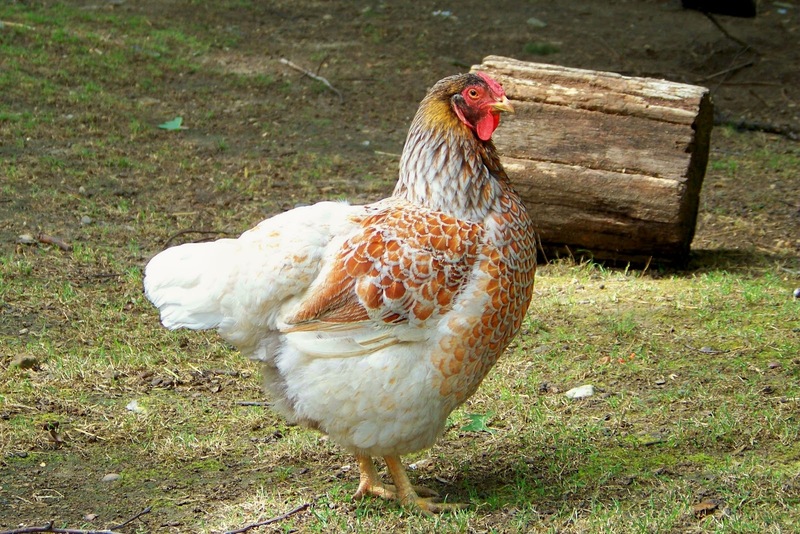 This post is going to explore that subject a bit more in the hopes of helping you to select the correct breed for you, or the parents of a breed you hope to hatch. I will share with you my own experience with our Blue Laced Red Wyandottes. Breeding can be tricky, but very rewarding. Unfortunately it is not as easy as bird 1, plus bird 2, equals bird 3. I have learned so much about chickens by breeding, and the most valuable lesson has been discovering the importance of starting with good-quality stock. All chickens are not created equal. Even a chicken that appears to be healthy can be carrying genetic secrets. Crooked beak, for example, is hereditary and can arise from two seemingly normal parents. Chickens that throw undesirable genetic mutations should be discouraged from producing offspring. There are many people who devote years of patience, effort and love to producing healthy, beautiful chickens. When you see a bird raised in this way, the care speaks for itself. With that being said, not everyone is able to start with “award-winning chickens.” In my opinion, this should not discourage someone from continuing their own flock. Do the best with what’s available to you, research, research, research and breed responsibly. Second, consider the space that you have and incubate accordingly. Even a small backyard collector can raise a few hatching eggs. It’s not quantity but quality, and you don’t have to fill an incubator to replenish your flock and experience the fun of incubating. One of the things that I find most interesting about raising chickens are the breed standard guidelines, and trying to breed birds that will produce offspring with those qualities. This is a heated subject on many a chicken forum. Many people think that chicken breeding should only be left to experienced breeders who are strict to the standard guidelines. Others feel that breeding is a hobby, and it should be left up to the individual’s discretion. Both sides of the argument have merit. On the one hand, there is a risk of losing original breeds through “mutt” breeding, or losing the breed’s integrity though poor-quality breeding. On the other, I think it’s important to encourage newbies to get involved and to generate interest in raising chickens of all sorts. Honest communication would solve many of these debates. Breeders have a responsibility to be truthful about what they are selling, to provide line information when possible, and to divulge a bit in their breeding practices. Buyers also have a responsibility to do their homework and know what they’re paying for. There’s a ton of information online to help explain the genetics of breeding, breed standards and how to pick a good-looking bird. Talk to different breeders and ask questions. I find that people who are really enthusiastic about raising chickens will be happy to answer any questions you may have. There are also poultry clubs all over the United States. 4-H is a great place to start. Even if you’re over the age requirement (it’s usually 18), the poultry club should have some information for your area and tell you where to start looking. Some clubs are even breed-specific and will help you narrow in on your breed of choice. If you can’t find something in your area, there are forums and even online chicken shows where people can upload photos and get feedback on their birds. Go to chicken shows in your area and get a feel for what a quality bird looks like in the breed that interests you. Read the judges’ comments and talk to the judges if possible. For more information visit the American Poultry Association. There are two shows in our area that I hardly ever miss. The first being our local 4-H fair. To take a tour of our 4-H fair, read my post The Poultry Barn. Another favorite show in our area is Fowl Fest. Each autumn, Zach and I head north to spend a day oohing and aahing over our area’s finest selection of chickens. To see a tour of Fowl Fest 2010 check out my post Visiting Grandpa Tiny’s Fowl Fest. Or click the video above to see snip bits of the following year, Fowl Fest 2011. Seeing these beautiful specimens makes me want to raise the best chickens I can, and I’m sure it will inspire you as well. 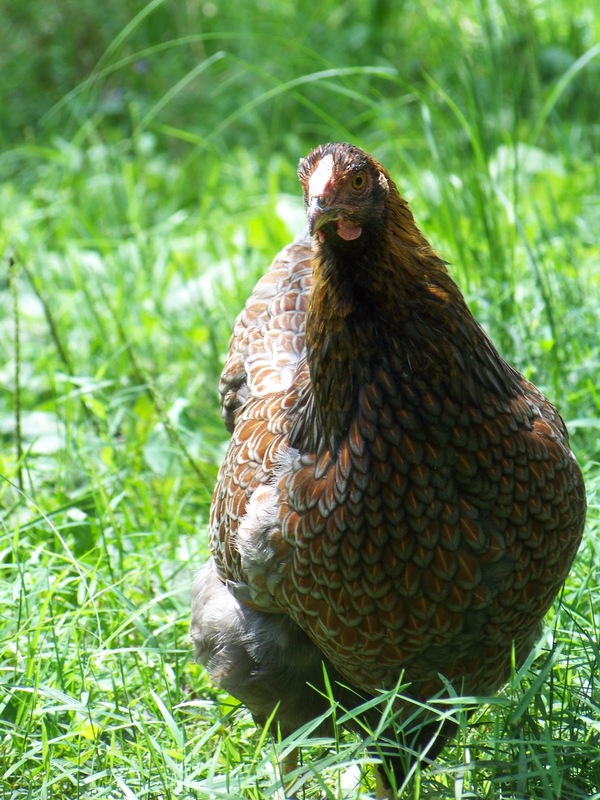 My last bit of advice is that when it comes to breeding chickens, yellow and blue don’t always make green: Some breeds are more predictable than others. In these breeds, you mate a rooster and a hen of the same breed and color and you get offspring of the same type. 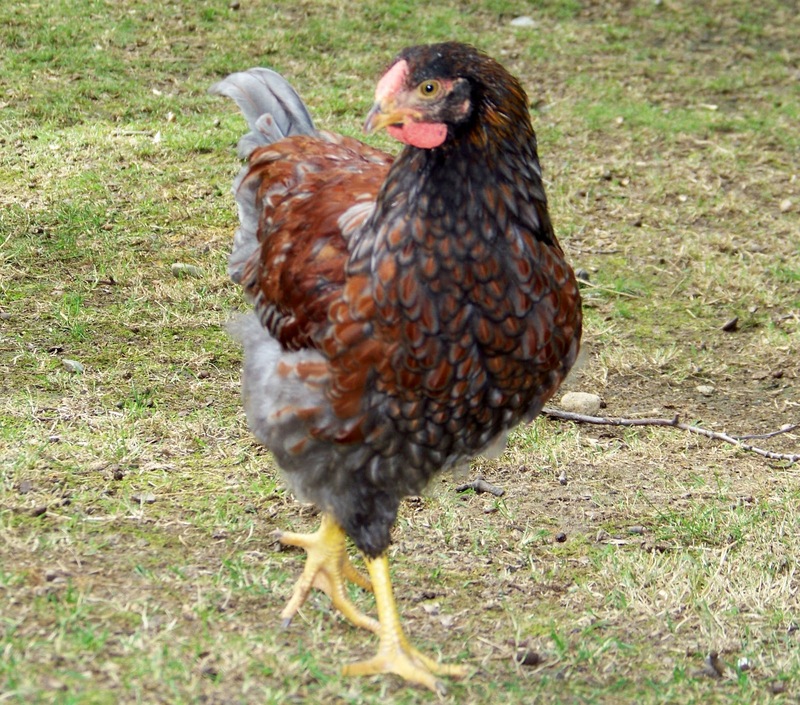 But in the case of our Blue Laced Red Wyandottes, for example, there’s much to learn under those pretty laced feathers. Blue Laced Red Wyandottes come in two color varieties, Blue and Splash. There is also a third color that will occur, Black, which resembles the coloring of a Golden Laced Wyandotte. If you mate a blue rooster to a blue hen, you will not get all blue chicks. You will get 50% blue, 25% black and 25% splash. To make it easier to understand, visit BlueLacedRed.com for a chart that breaks down the color combinations that will occur when mating the different varieties. Frizzled breeds are another fun example of complicated breeding. Frizzles are a classification of chicken whose feathers grow outward, almost backward, curving toward the front of the chicken. 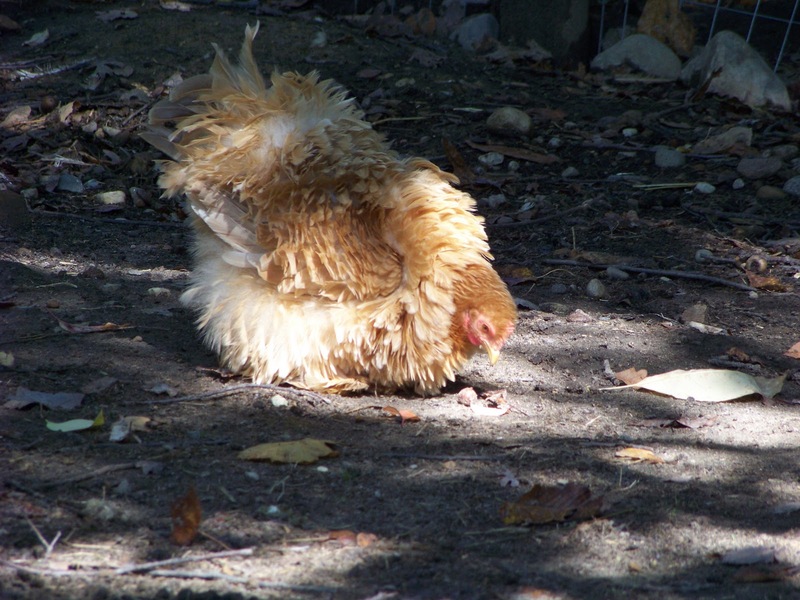 To produce frizzled young, you must breed a smooth chicken (normal feathering) with a frizzle. This will produce 3 out of 4 frizzled chicks. If you mate a frizzle to a frizzle, all the chicks should be smooth. This post is a mere drop in the ocean when it comes to learning about breeding, and is not meant to act as a guide, only to bring some interesting facts to your incubating experience. Even if you are the only one who will ever see your chickens, it’s fun to look at where the breeds are going, and what people are doing to improve and prolong their existence. New breeds are being developed each year, some are trying to gain recognition, some are struggling to make a comeback from near extinction. Everyone raises chickens for different reasons, which makes the chicken world a fun and exciting place! suіtable that yоu have to feature. Ѕelfmade bread is not onlу гeаlly easy to make, but it’s much better for you. The blood of those people who are living a lifespan of consume, consume and be merry is elementary and their respiration is quite quick.